We like to keep in touch with those interested in Aromatherapy, Essential oils and other helpful information. If you want to continue to learn we have several different e-mail notices we send out each week. For those that want General Aromatherapy Information including a new Recipe, updates, info on featured and new products and What's Happening at Birch Hill Happenings, then our News, Tips and More which is sent out weekly - Usually on Tuesdays or Wednesdays (depends on our schedule for the week), is the one you want. We suggest if you only want to get one e-mail a week - Sign up for the News, Tips & More. For more Details about the e-mail notices we offer see below. Deals of the Day - is sent out on 2 times a week. The Deals are deeply discounted items (20% or more) available for only 1-3 days. You will see these items also listed on every page of our website when the deal is on. The best part about getting the Deal of the Day Notice is you find out what deals we have. 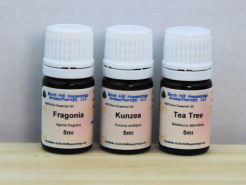 NEW - Aromatherapy Tidbits - Sent out on Friday mornings - just quick little 'tidbit' of helpful aromatherapy information. May include a recipe, beauty tip, around the house and other awesome tips. Geared as a quick read for e-mail on mobile phones but anyone that gets e-mail will be able to enjoy these little quips too. Customers Only e-mail notices - Sent every other week (opposite week of the Weekly Sales notice update) on usually on Saturdays. It lists the special offers, coupons and more for current customers. SPECIAL NOTE: This you sign up for ONLY when you Place an Order. Check the Box on the Checkout Page. Previously we offered this special Customer's only e-mail notice on our General Sign up page but discovered there were 'non-customers' signing up and then reporting it as 'spam'. You are very Special to us so we have the signup for Customer's only - only for those that have actually placed orders with us. Again, you can unsubscribe or opt out at anytime. Sent every other week (opposite week of the News, Tips & more notice). It lists the Newly listed Sale items, special offers, and oftentimes includes a coupon. IF YOU SIGN UP FOR ALL THE NOTICES - YOU WILL GET 4-5 e-mails a week from us. If this is too much - please Update your Subscription and only get the ones you REALLY want. We suggest if you only get one e-mail a week - Sign up for the News, Tips & More. CLICK ON the Button Below to Sign-up and make your choices. Special notice: IF you have a YAHOO.COM email address - do not use it to contact us. yahoo.com addresses are often times blocked by various companies IP or service providers. IF you decide to use a yahoo.com e-mail address you MUST put us on your safe list. Put the domains - birchhillhappenings.com AND birchhillhappenings.net on your safe list. If not you may not get your order or corresponse answered as you might not get our answers or order confirmations - your ISP will block your e-mails. We suggest you use a gmail.com or other free e-mail service for your e-mail address. Likewise, if you are creating an account to place orders again, use something other than a yahoo.com or aol.com e-mail address.